18 months - 5 years. Perfect for indoor or outdoor play, Each block is easy to fit together. Each set includes square blocks, both solid and see-through, as well as triangular blocks for corners and pointed roofs. 12"L x 12"W x 2 1/2"H. 16 piece set. 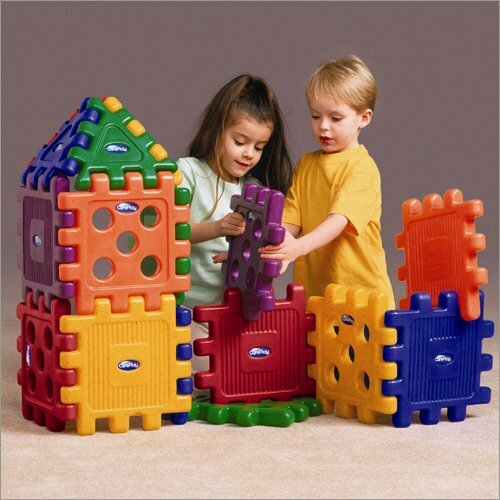 CarePlay Grid Blocks add unlimited fun and creativity to constructive play. 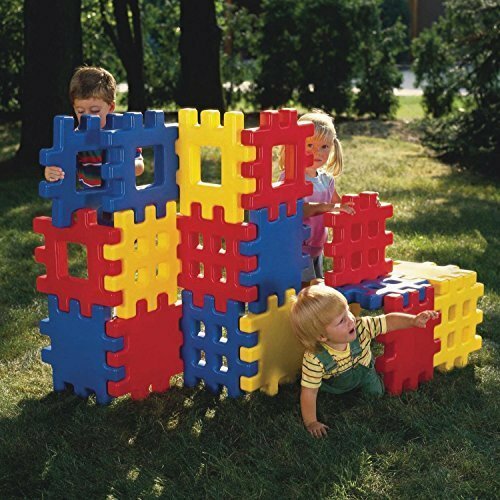 Blocks are colorful and easy to use and can be used indoors or outdoors. Gives your young builder the blocks needed to follow whatever path the imagination takes. 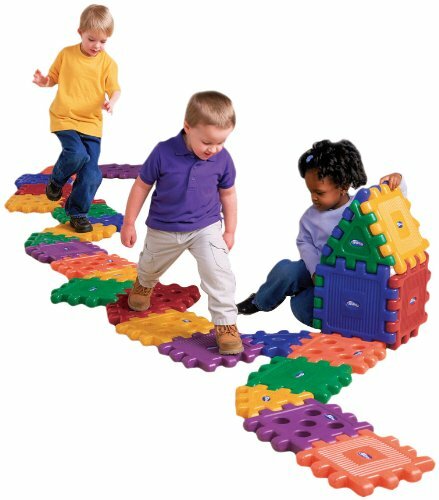 Heavy duty blocks will create solid pathways for children to walk upon, tunnels for them to crawl through or even a playroom to call their own. Because each block is exactly 1 square foot, they can be used for simple activities that introduce linear and area measurement. Blocks are just right for children's hands while the 3 by 3 design makes attaching the blocks easy. 6 bright primary and secondary colors that will continually look new because the colors are molded right in. Each set includes square blocks, both solid and see through, as well as triangular blocks for pathway corners and pointed rooftops. If you're looking for a durable collection of playthings that encourages creativity and teaches basic skills, check out the CarePlay Grid Blocks set. They are ideal for outdoor play, or use them indoors when the weather keeps your children from going out. These heavy-duty pieces create solid pathways for children to walk upon, tunnels for them to crawl through or even a playroom to call their own. They interlock easily so little ones can do it on their own. Because each one is exactly a square foot, these kids grid blocks can be used for simple activities that introduce linear and area measurement. These toys come in six bright primary and secondary colors, like purple, orange and yellow that continually look new because the colors are molded right in. Each set of 16 grid blocks toys comes in assorted colors and shapes including squares and triangles for pathway corners and pointed rooftops. You get both solid and see-through for variety. CarePlay Grid Blocks are made with a waffle design that's just right for little hands to manipulate. 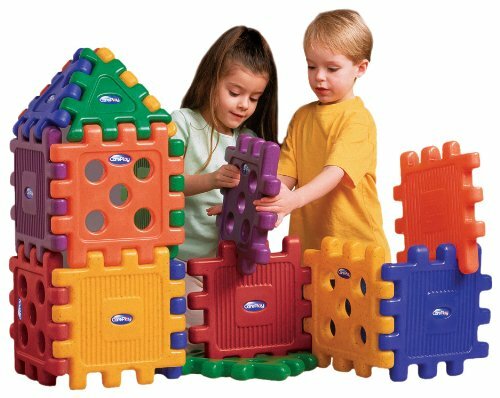 Perfect for indoor or outdoor play these heavy-duty blocks will create solid pathways for children to walk upon tunnels for them to crawl through or even a playroom to call their own. Because each block is exactly a square foot they can be used for simple activities that introduce linear and area measurement. CarePlay Grid Blocks come in six bright primary and secondary colors that will continually look new because the colors are molded right in. Each set includes square blocks both solid and see-through as well as triangular blocks for pathway corners and pointed rooftops. The perfect combination of a construction set and building blocks! These snap-together giant waffle blocks are perfect for building a fort, castle and anything else imaginations can create. Use them inside or out. The unique waffle design lets kids put them together and take them apart over and over! 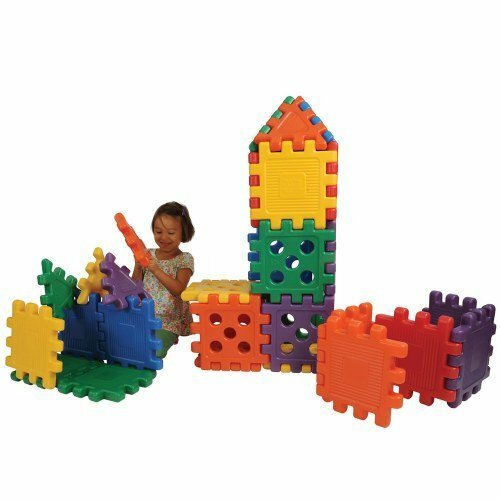 These classic Big Waffle Blocks help little builders build big ideas! This Little Tikes favorite comes with 18 fun and colorful blocks which are perfect for building imaginations for both indoor play and outdoor play! 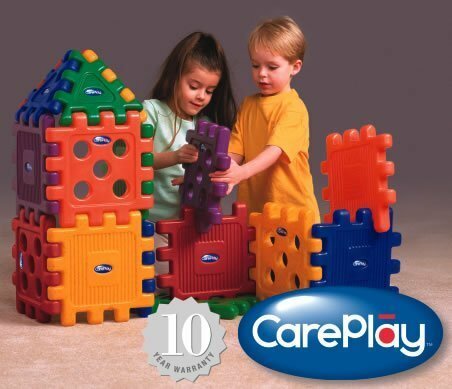 Compare prices on Careplay Set at ShopPlanetUp.com – use promo codes and coupons for best offers and deals. We work hard to get you amazing deals and collect all available offers online and represent it in one place for the customers. Now our visitors can leverage benefits of big brands and heavy discounts available for that day and for famous brands.